It’s important to understand the labelling on cat food, and what certain ingredients or wording actually means. This is especially important when pet food companies are charging the earth for certain products and you ‘think’ you are buying the best one! One important misconception is the wording ‘complete’ or ‘complementary’. 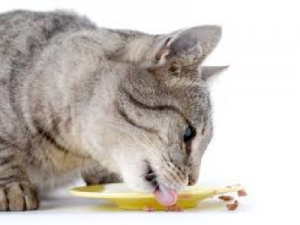 Complete means ALL nutrients for a cat have been covered in the product whereas complementary means the food is designed to be only a ‘part’ of your cat’s diet. They do not meet the known nutritional requirements when fed alone. Complementary foods are often referred to as treats and should be given to your cat in moderation. Obesity or illness’s can result from wrong feeding. I am currently studying cat food labelling so If the reader would like my list and explanation of all ingredients usually used by major pet food companies please email.